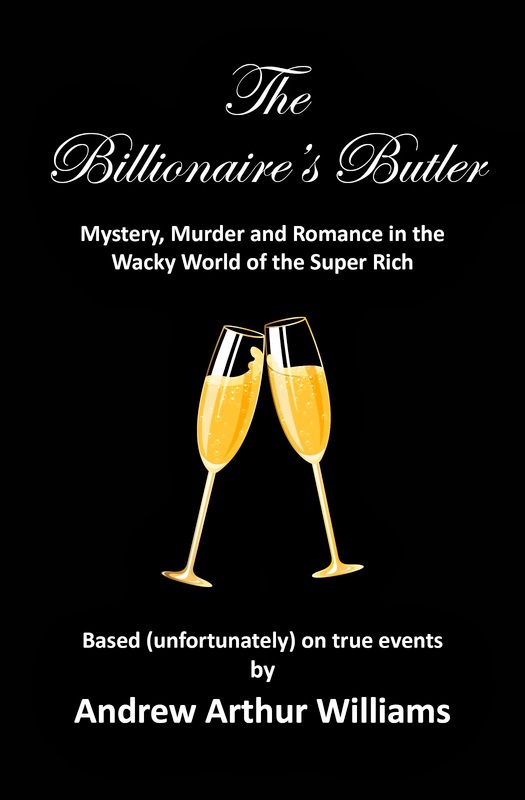 The Billionaire's Butler! : New Year's Greetings 2015! Was in bed having a cup of coffee today, leisurely watching the morning news, when I got the most alarming text from Ester the Upstairs Maid! "Can you come over right away?" She usually doesn't disturb me so early unless there's an emergency. Since I live here on the estate, right above the carriage house, I threw on a robe and dashed over to the house expecting the worst - like no hot water or an electrical malfunction. Instead, Ester began to lead me through the entire downstairs, pointing out room by room that all the framed photos of our employer and his new girlfriend have been removed! Now we've both been through this scenario a couple of years back; right before the old man divorced his second wife all her pictures began to disappear as well, much to our alarm. But since neither of us like the new girlfriend very much, we were totally suspended somewhere between being in shock and high fiving each other! The thing is, Ester and I have successfully reigned in the new girlfriend over the last couple of years as to just how far she can push us. And we both know that someone new will just take her place. So whether this is good news or not, only time will tell. In any case, change is always good, right? We might get someone in here we truly adore. The emphasis being on might. Experience has taught that women attaching themselves to rich old men can be somewhat lacking in adorability. Nonetheless, there's high hopes around here today for whatever's coming next. I hope 2016 brings happiness and joy to all of us, in one way or another! As always, thanks for dropping by this evening - and Happy New Year! Oh Andrew, I can't tell you how long I've been waiting to hear this. I don't know if that makes me a horrible person since it's not like I know the um...lady personally or have any knowledge as to her side of things. And while I suspect the real reason for my dislike is because I so liked the Missus' (her personality, her Britishness, and her relationship with you) I think I have just cause for forming this negative opinion of chickie after the not so subtle way the pictures turned up in the first place. I figured then that she was bad news. Fingers crossed on you getting someone truly special. Someone British wouldn't hurt either. Thanks for the encouragement Stacy. We hope so too, although the girlfriend's departure is not a done deal. We'll just have to wait and see. Happy New Year and all the best for 2016. At the very least it should be good blogging fuel! Happy new year old chap. And to you too, Ben! Happy 2016! CHATEAU MARGAUX: The world's most expensive wine?